If you have young kids (especially daughters), chances are you've heard of Rainbow Loom. Rainbow Loom makes it easy for young kids to make bracelets, charms, and other toys out of rubber bands using looms and hooks. It's a fun, unique toy that gives kids the freedom to indulge their own creativity--and it's actually been shown to have positive effects on their development. We're such big fans of the toy that we wanted to share our love by making a Rainbow Loom craft of Little Pim the panda, the star of our award-winning videos, books and flashcards. 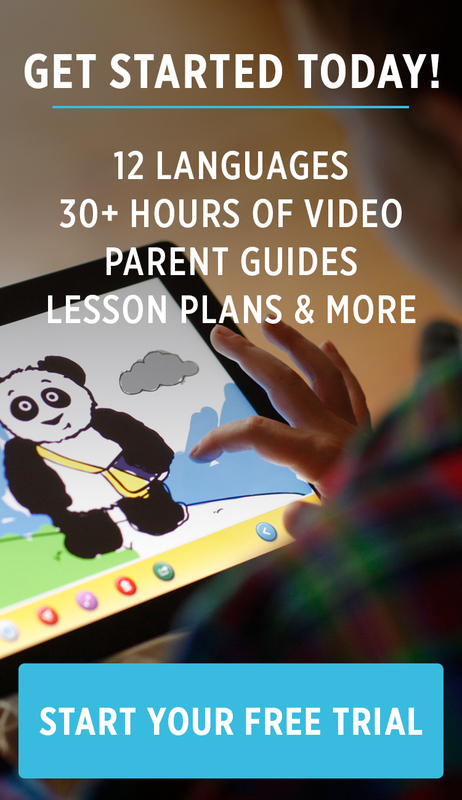 If your kids love Little Pim and making crafts with their looms, they'll love making their very own panda. How Do Kids Celebrate Holidays Around The World? In MEXICO a big party for children usually includes a Piñata, (pronounced Peenyata, for it has an ñ, not an n), filled with peanuts in the shell, oranges, tangerines, sugar canes, and candy. All the children sing while one child at a time tries to break the Piñata with a stick while he/she is blindfolded. Although Piñatas started in Italy, today they are a Mexican tradition. Mexican piñatas are usually made out of cardboard and paper mache and decorated with crepe paper. Decorate your own pinata: : http://www.expertvillage.com/ video/14795_pinata-making -warp.htm Or fill a store bought one with your favorite treats HERE. ince the vast majority of the Chinese people are not Christian, the main winter festival is the Chinese New Year, which takes place toward the end of January. Kids decorate by lighting their houses with beautiful paper lanterns. Many Chinese children also hang stockings and await a visit from Santa Claus, whom they call Dun Che Lao Ren (dwyn-chuh-lau-oh-run) which means "Christmas Old Man." Santa Claus may also be called Lan Khoong-Khoong, "Nice Old Father."